Or perhaps I should call this Je Suis Fini! 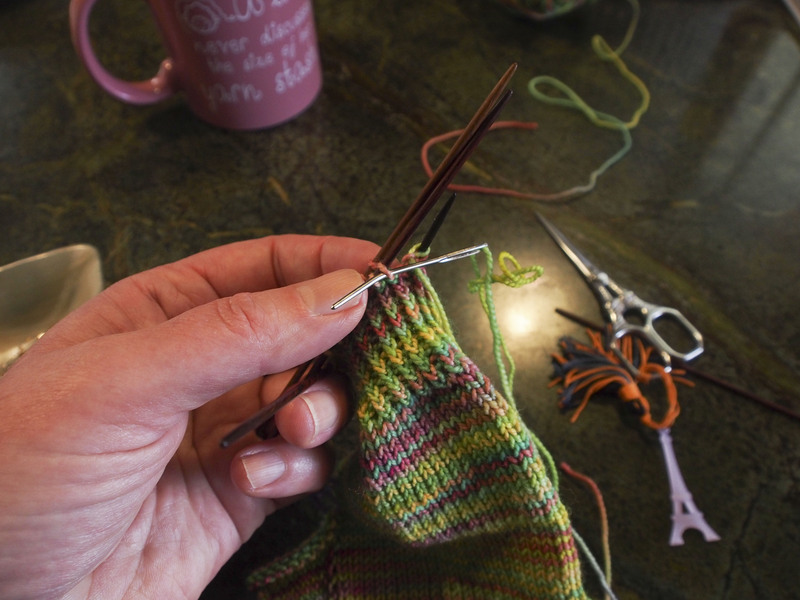 Yesterday after posting how to do the French Cast On (Formerly known as Tubular Cast On), I had the inevitable questions of how to bind off in this manner. 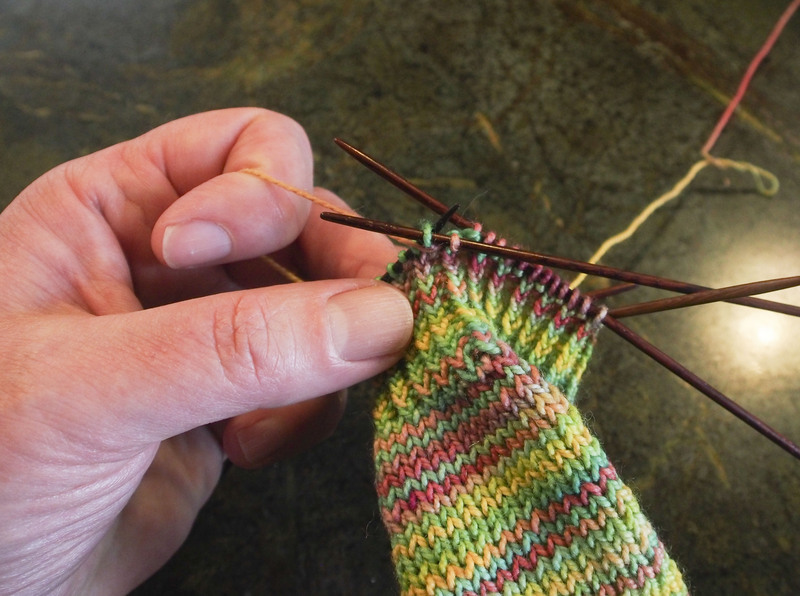 I know that the infamous Elizabeth Zimmerman has her sewn bind off, which is similar, but lacking in one very important way. My method involves 2 rows of set-up which truly give you the stretch that is desired. Here we go! 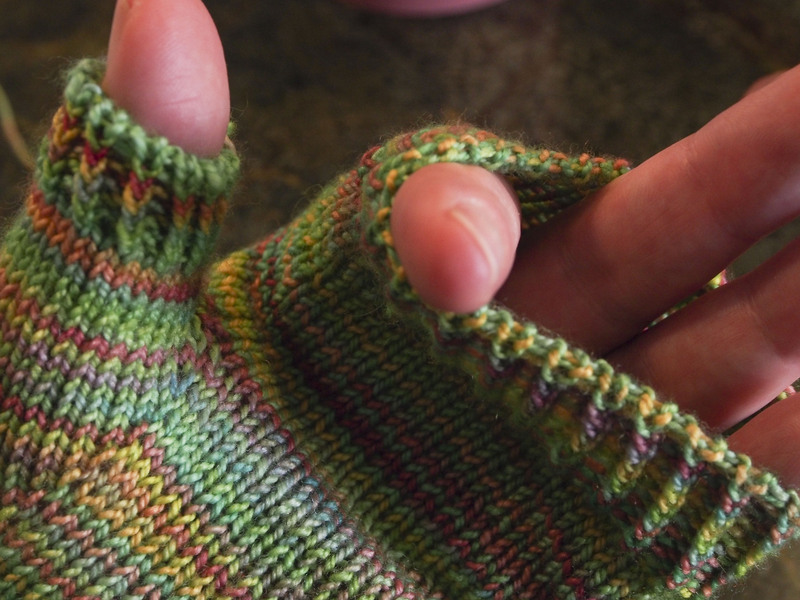 Finish your ribbing to the length that you want. Set up Row #1. 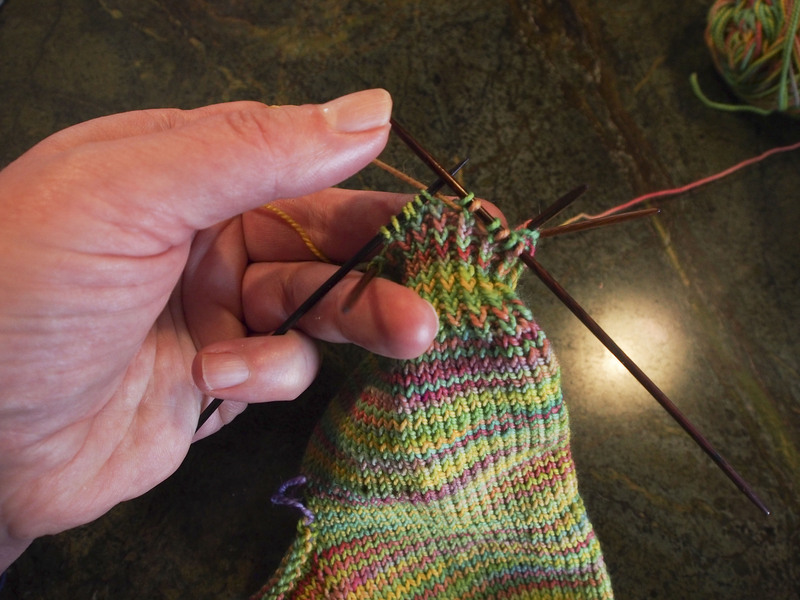 *Knit first stitch (I continued to use my twisted rib), With yarn in front, slip the next purl stitch (slip as if to purl)** Continue from * to ** to end of row. Set up Row #2. 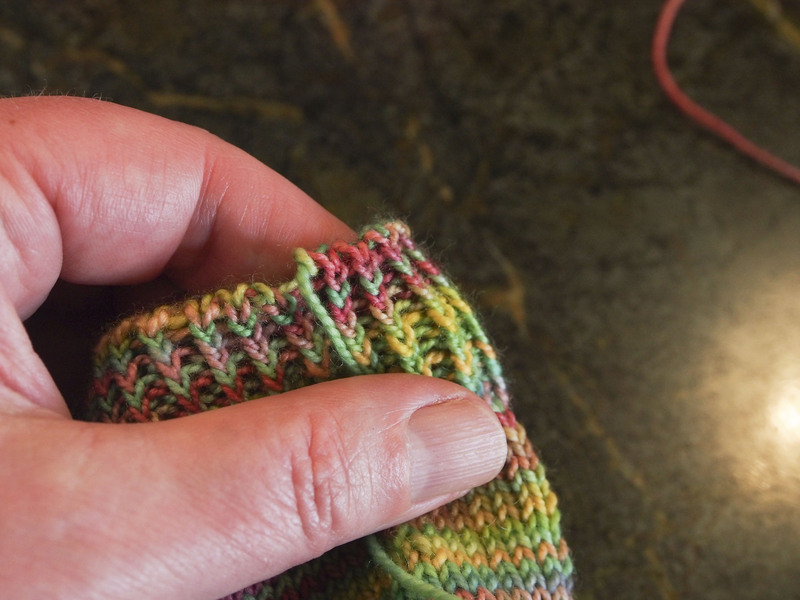 *With yarn in back, slip the next knit stitch (slip as if to purl), Purl the next stitch** Continue from * to ** to end of row. Prepare for cast off. 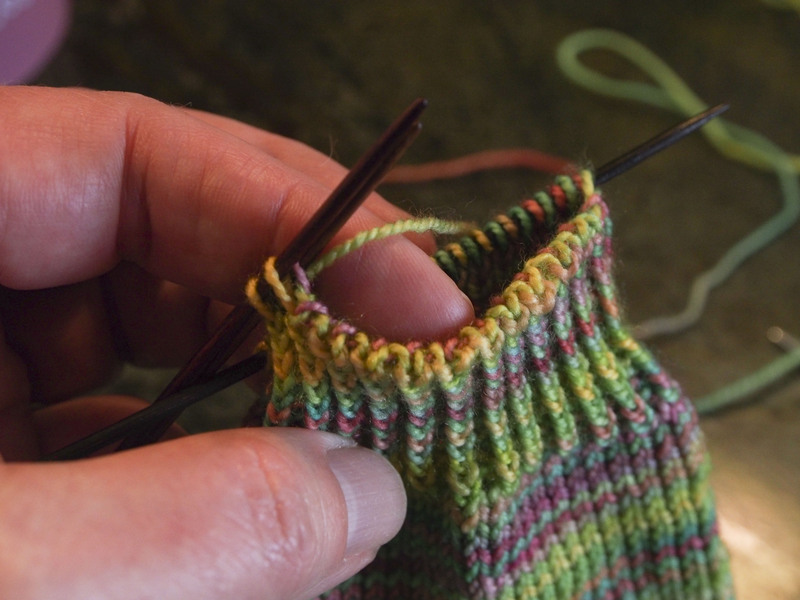 Using 2 don’s held side by side, slip the knit stitches to the front needle, and the purl stitches to the back needle. Now, Cut a long enough tail to Kitchener off all of the ribbing. I have done this for 300+ stitches, just with a very long tail. Start Kitchenering the front knit stitches to the back purl stitches, one at a time. Much like sewing together at the end of a sock at the toe. This post explains the process to Kitchener. Here is a good video explaining how to Kitchener. Keep your tension taught, not too loose or it will be sloppy, nor too tight or you will defeat the purpose of this lovely bind-off. 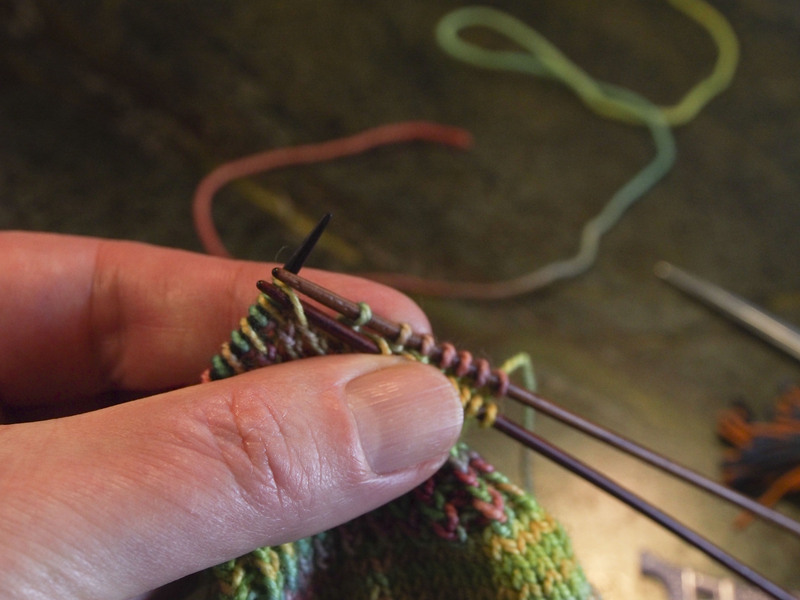 Since we are working in a round, only a few stitches at a time can be set up on to the front and back cast off needles. Because I use 5 dpns, I do the first needle, then the second then the final 2 together. 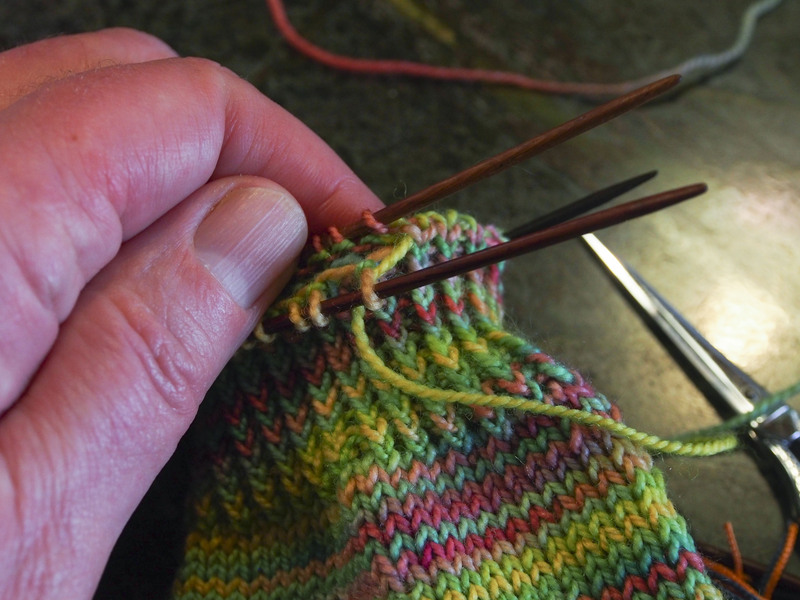 Once you have reached the approximate 1/2 way point, you can put the remainder of the stitches on the cast off needles and finish sewing off. 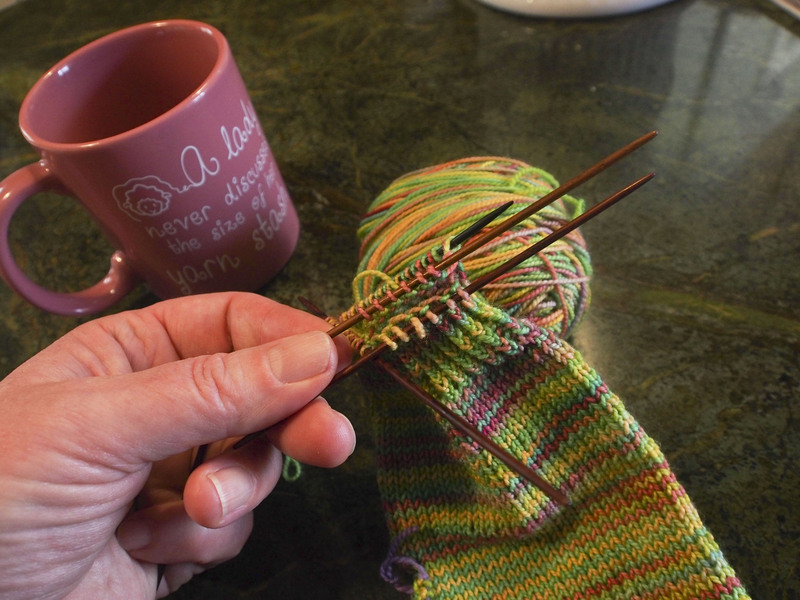 At the end you have a slight jog, which is taken care of when weaving in the end of the yarn. And Voila! again. Once you get the hang of it, the process is very quick. I bound off these 48 sts in less than 5 minutes, including taking photos. You have a lovely finished edge that truly distinguishes the finished product from craft to art. Wonderful tips! Thank you for the excellent photos. Great! Glad it helped. When I can figure out how to shoot and edit a video I will do that. Definitely will be coming back to read this when I need to use it.